IF YOU struggled to fit in at school, you might take some comfort from this. According to a study, those who are less popular as teenagers end up doing better in life than their ‘cooler’ peers. Researchers followed the lives of adolescents for ten years and discovered the ones who were considered ‘geeks’ went on to outperform the others by the time they reached early adulthood. The study, which examined 184 teenagers from the age of 13, found those considered popular in their early and mid-teens were more likely to suffer drug abuse problems and social isolation as adults. Academics at the University of Virginia also said that the group’s definition of ‘cool’ changed over time. They said boys aged 13 who exhibited ‘pseudo-mature behaviour’ such as kissing girls and committing minor vandalism were considered popular. However, ten years on, many of them found it difficult to interact with their peers and engage in meaningful relationships. 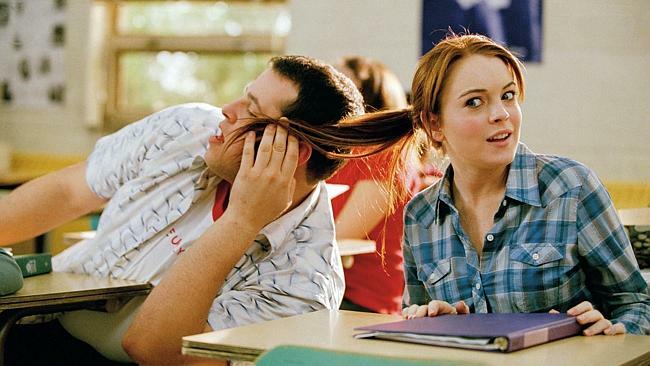 The findings of the study — published in the journal Child Development — will be familiar to fans of the Lindsay Lohan film Mean Girls, which charts the fall from grace of high school pupils who are obsessed with their image and popularity. Professor Joseph Allen, lead author of the study, reiterated that the most socially successful teenagers were often heading for a fall. “The group of young people who seemed to be on the fast track in adolescence … ended up more like a dead end,” he said. He added that he hoped the findings would be a comfort to parents who worried about how popular their children were at school. “Young people who get a lot of reinforcement and praise and attention for superficial kinds of qualities are at risk,” he told The Sunday Times . “They come to depend on these, which don’t have much appeal in the wider, adult world. The report used a number of different factors to assess how ‘cool’ the subjects were both at around 13, then again in their early twenties. In their early teens, behaviour such as kissing gave them a ‘cool’ rating, along with stealing from their parents. Around 20 per cent fitted into this category. But by 23, the cool kids had a 45 per cent higher rate of problems arising from alcohol and marijuana use than those who had been less popular at school. They were also 24 per cent worse at getting along with others. Dr Faeza Khan, lead clinician at the Priory Hospital Cheadle Royal in Cheshire, said: “They are trying to impress people about how they are socially, rather than being emotionally mature.